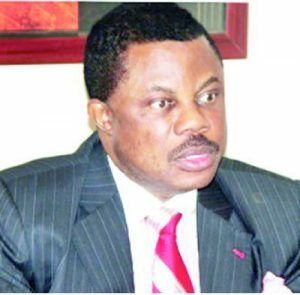 A certain disquiet appears to be ravaging the political camp of the governor of Anambra State, Willie Obiano. The situation borders on paranoia and manifest hate. The bitter, acrimonious display is consuming. It is eating up its purveyors. What is at play here is Peter Obi, the former governor of Anambra State and vice presidential candidate of the Peoples Democratic Party (PDP) in the February 16 presidential election. Peter Obi is an object of pursuit in government circles in Awka. He is game that must be hunted down. His emergence as the running mate to the PDP presidential candidate, Atiku Abubakar, was received with benumbing indignation by Obiano. The governor could not and has not been able to come to terms with it. He has been thrown into a paroxysm of emotional distress. Consequently, he is fighting the possibility of a Peter Obi as the Vice President of the country with all the arsenal in his amoury. For Obiano, shooting Peter down is a battle that must be won. His happiness and emotional stability depend on it. But how did Willie become so resentful of Peter? Their parting of ways was so dramatic. Peter installed Willie as his successor and handed over to him. In his handover note, Peter, ever so meticulous, provided details of the monies in various currencies that he was leaving behind for Willie. It amounted to about N75 billion. Willie, obviously, did not like the public declaration by his predecessor. A cold war ensued and Willie, to the consternation of men and women of good conscience, began to bite the finger that fed him. But when it was time for the governor to jostle for a second term in office, he made feeble attempts to reconcile with Peter. But the insincerity in the scheme was too obvious not to be noticed. The reconciliation effort fell flat on its face. But Willie had his way all the same. He was reelected. At that point, he felt that he would never have any need for Peter anymore. Then the 2019 presidential race opened a new war front. Peter is about to ride the crest and Willie will not let him. That is the drama that is going on at the moment. Anybody who is familiar with the goings-on in our polity would know that the cold relationship between Peter and Willie is not strange. It is commonplace in Nigeria. Predecessors and successors are usually at daggers drawn. Obi and Obiano are typical examples. But what rankles in this instant case is that Obiano is acting like someone who is fighting the battle of his life. There is no letting up. He has coerced some of his lieutenants, most of whom are men of integrity, into the fight. These are gentlemen who, ordinarily, would not raise a finger against Peter but who have had to do so because the governor has put them forward as fronts. Not too long ago, a few of them held a press conference under the banner of a certain unknown organisation. What was their message? They said they wanted Buhari to continue in office. They prefer him to the Atiku/Obi combination. Those were Willie Obiano’s aides supporting Buhari’s second term bid. Then, just a few days ago, another batch of Obiano’s lieutenants came on air to denounce Ohanaeze’s endorsement of the Atiku/Obi ticket. Their reason? They said Anambra State government was not consulted before Ohanaeze took the decision. Considering the fact that all this is coming from Peter’s home state and directly from the office that he handed over to Obiano, men and women of goodwill cannot but shudder at this unconscionable display. The impression it gives the outside world is that the Igbo are their own worst enemies. But then, the point must be made that Obiano’s bad faith does not go beyond him and the narrow confines of the office he occupies. The governor does not speak for the people of Anambra State. He does not even command the loyalty of his government officials in this matter. A few of them may, for purposes of public consumption, pretend to be on his side. But they are, in truth, brow-beating him. They must have been shocked by the level of depravity and pettiness that is oozing forth from the covens of the government of Anambra State under the leadership of Willie Obiano. Perhaps, somebody needs to remind Willie that the issue at stake is bigger than his relationship with Peter. It is about the political preferences of the Igbo people. The governor should see the situation in this light. If he does, he would be in a good position to know where to draw the line and when to apply the brakes. This brings us to the dust being raised by Obiano and his aides over Ohanaeze’s endorsement of the Atiku/Obi ticket. Ohanaeze, from what we know, is not an arm of the Anambra State government or any other government for that matter. It is a socio-cultural organisation whose primary objective is to cater for the interest of the Igbo people wherever they may be. It is independent and autonomous, with a body of rules and regulations. It also has officers who are duly elected and whose responsibility it is to pilot the affairs of the organisation. In line with its mandate, the organisation, in November last year, put the Igbo, and indeed Nigeria, on notice that it would meet in no distant time to make a pronouncement on which presidential candidate to support in the 2019 presidential contest. That was on the occasion of Atiku’s visit to South East leaders, his first political outing after winning the PDP presidential ticket. On that occasion, Nnia Nwodo, the articulate and respected president-general of Ohanaeze Ndigbo, took us down memory lane. He spoke of the pains of the Biafran debacle and why the Igbo must shun that route this time around. After taking a holistic look at the Nigerian situation, Nwodo submitted that the best arrangement that would serve the larger interest of the Igbo is restructuring. He, like other progressive minds in Nigeria, voted for a restructured Nigeria. Significantly, Atiku happens to be the presidential candidate who has promised Nigerians restructuring. That makes his candidacy attractive to the Igbo. Besides, Buhari, the other strong contender for the office of the President, has not treated the Igbo fairly since he came into office in 2015. All efforts to get him to see Nigeria as a country for us all have yielded no fruits. Buhari has remained sectional and clannish. This tendency does not make him acceptable to the Igbo. In the light of the foregoing, it is hardly surprising that Ohanaeze has finally settled for Atiku. Ohanaeze did not need to obtain permission from any state government to do this. What it has done, as a responsible and people-centred organisation, is to identify where the interest of the people lies and go for it. Ohanaeze does not exist for its own sake. It exists in the service of the people. At this historical moment in our search for a better Nigeria, the Igbo must put their best foot forward. Ohanaeze took a well-considered position, based on the realities of our situation. If there are voices of dissent emanating from some quarters in Igboland, it is not because Ohanaeze erred. It is probably for the fact that the naysayers have some narrow, selfish interest to protect. But what is paramount here is not individual preferences and choices. It is what will serve the collective interest of the Igbo. That, I believe, is where Ohanaeze stands in this matter. A man that cannot separate personal vendetta from matters of public interest is not qualified to be a leader.